Tech4Her Africa is a registered social enterprise incorporated in 2015 – working to expand economic opportunities for women and girls in Africa by enabling them in #STEEM: Science, Technology, Engineering, Entrepreneurship, Mathematics leveraging ICT. Tech4her’s vision is to increase the earning potential of up to African women by 50% using ICT. Tech4Her’s mission is to enable 5,000,000 marginalized women in Nigeria to access Education & Mentoring using a mobile phone by 2030. 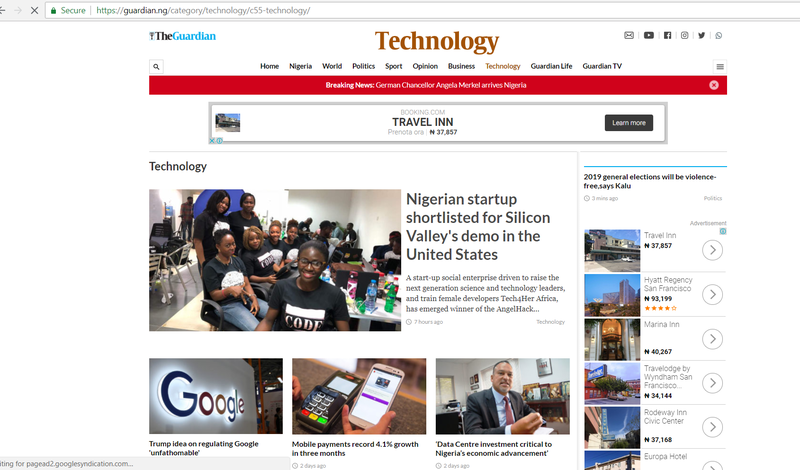 We’ve been featured on 1776 Washington CUP, CNN’s Women In TechAfrica, Europe’s Global Women Social Entrepreneurs, Capetown’s Business Technology Summit, BBC Africa, Nigerian Tribune, Guardian Nigeria.